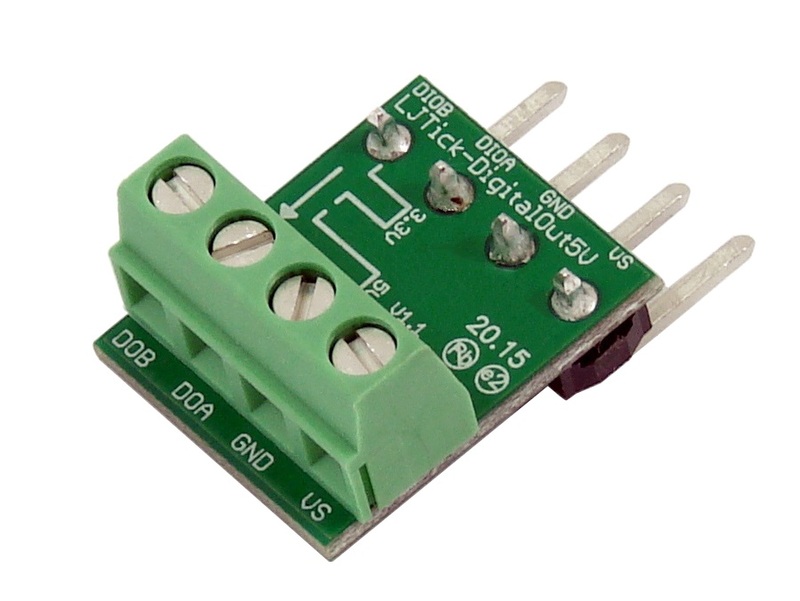 Converts 3.3V digital outputs to 5V digital outputs. 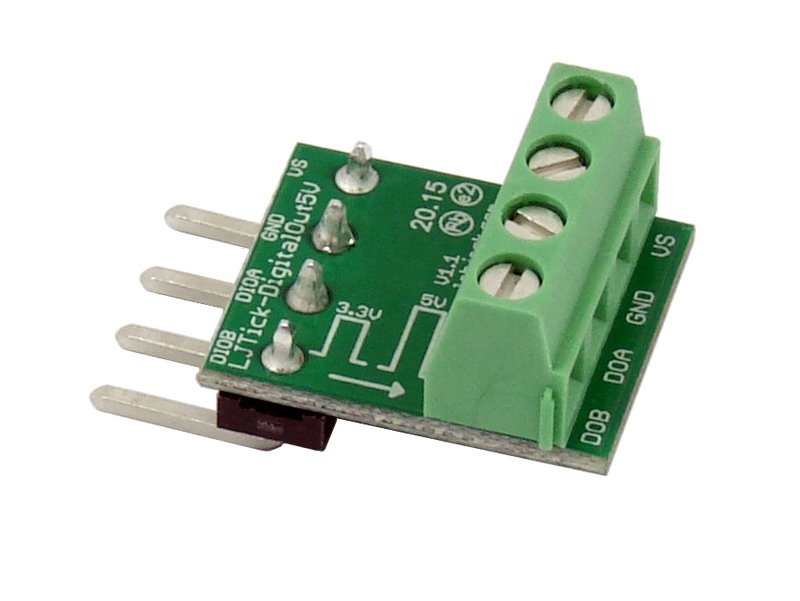 Easily control 5V relays, or interface with a 5V logic device. Read more about controlling relays and connecting 5V signals in this app-note. Note: When the LabJack digital I/O is configured as an input, the DigitalOut5V accessory will output logic low. Look at the LJTick-DigitalOut5V datasheet for more information. I am pleased with your support as it is rather uncommon these days to get such detailed information about a product. Thanks! All works as expected now. Great product!